Your perfect custom or ready-made rug is available online, your design, your way. With over 20 years of experience in the area rug industry, we have developed relationships with the best manufacturers, enabling us to offer exceptional value and exclusive rug products. We pride ourselves on our commitment to quality, craftsmanship, design and above all service, which includes free design consultations and free custom rug samples. Both our custom and ready-made rugs are offered in sizes, materials, and designs to fit just about every space and style. From the comfort of your home you can shop for the perfect rug to fit your unique specifications. Lastly, you can relax knowing that free delivery is included for all. 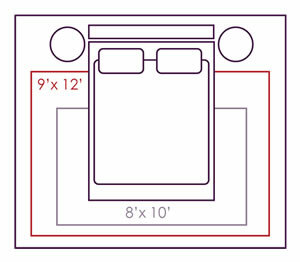 You can design a Custom Rug to fit your unique space using your exact measurements. Choose from hundreds of materials, and then select the perfect size and binding to create your perfect rug. Our Exclusive DESIGN STUDIO collection offers you direct access to designer materials, elevated designs, and on trend color combinations. 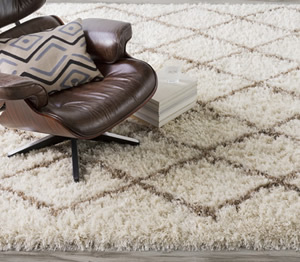 Handcrafted rugs from luxurious materials bring a designer touch to your space. Our Ready-Made collection usually ship within 3 business days. We offer an exclusive handpicked selection of area rugs in a variety of sizes and designer styles to suit every room in your home.